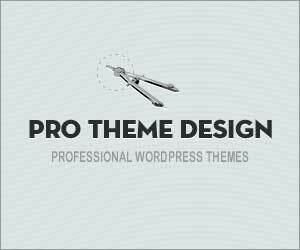 There are many excellent WordPress themes from Pro Theme Design. It first became popular because of its cutting-edge thumbnail resizing features. Since then, it continued to provide stunning themes to subscribers. Control panel – no need to worry about programming, everything is quick and easy if subscribe to Pro Theme Design. Your website can be edited in its simplified interface. Menu – the custom menu setting on this WordPress theme enables you to design your menu the best way possible. Thumbnails – this feature is created in-house by Pro Theme Design. It’s resizing and image cropping script ensures that you can have stunning images for your posts each and every time. This feature has since become standard in the top WordPress themes around the world. Templates – the custom templates on the site lets you create everything from archives, galleries, to contact forms. Search engine optimization – achieve strong on-page SEO with these WordPress themes. Pro Theme Design allows you to add keywords at all the important spots. Widgets – there are a variety of widgets on the theme that gives you the freedom to create the website the way you want. Translation – another aspect that makes Pro Theme Design stand out is its focus on localization. Reach out to more readers with the translation feature. The site has established a strong following among bloggers and web designers because of the range of choices it offers. Check it out today to see how you can improve your website.